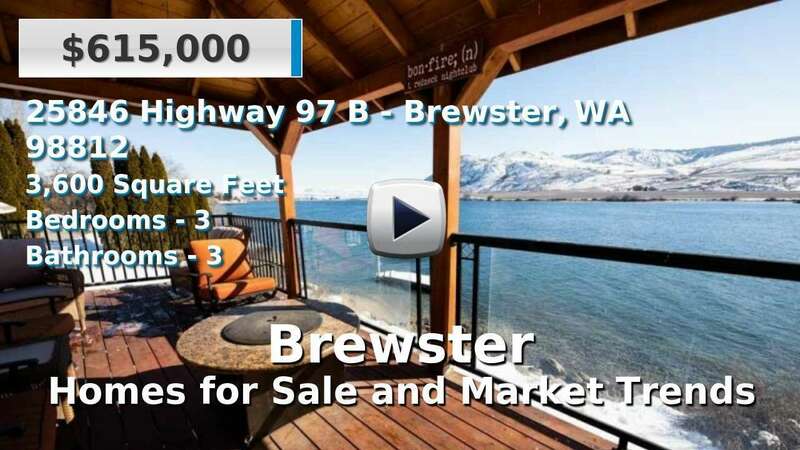 The city of Brewster is situated at the confluence of the Columbia and Okanogan Rivers in eastern Washington. Buyers will find established to newer single-family homes for sale here, which may include views of the water. Brewster is a water lovers dream local, not only perched at the confluence of two rivers, but bordering Lake Pateros, as well. U.S. Highway 97 make for easy commuting, and there's even the Anderson Field Airport. The Central Ferry and Indian Dan State Wildlife Recreation Areas are nearby for those residents looking for a break from the water. 3 Beds | 1.75 Baths | 2106 sq. Ft.
3 Beds | 2 Baths | 2720 sq. Ft.
4 Beds | 1.75 Baths | 1824 sq. Ft.
3 Beds | 2.5 Baths | 3600 sq. Ft.
4 Beds | 2 Baths | 2288 sq. Ft.
3 Beds | 2 Baths | 2557 sq. Ft.
4 Beds | 3.75 Baths | 1680 sq. Ft.